Words is committed to the advancement of accessibility in the arts, cultural participation within the community, and diversity in our programming. 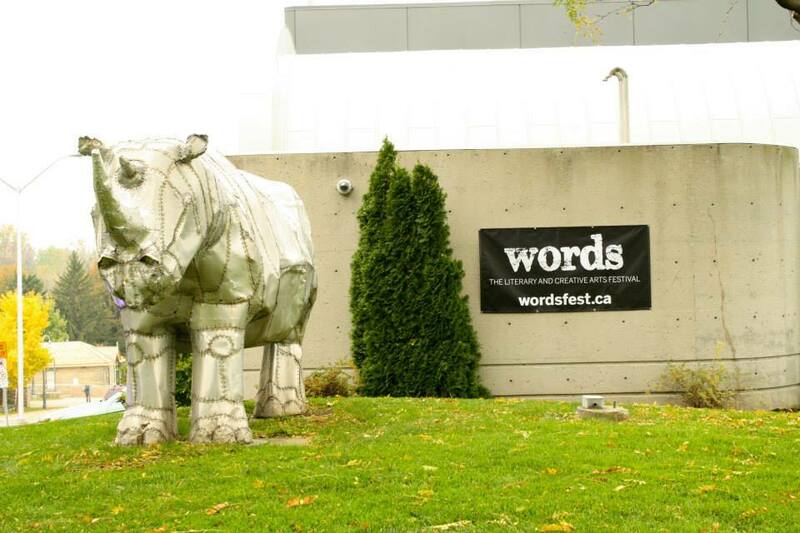 During the first weekend of November each year, Words brings the Southwestern Ontario region together for a celebration of creative ideas, artistic expression, and cultural diversity. Words features emerging and established writers from London, Canada, and beyond, showcasing new works and provocative ideas to spark debate and ignite the imagination. Though London has fostered some of our country's most inspirational writers and ideas, Words is the first major festival to bring public visibility to our past literary achievements while looking ahead to a new generation of creative voices. The Festival was created to foreground London as a centre of creativity and literary excellence. Open and accessible to all ages and backgrounds, our multidisciplinary programming offers a spectrum of artistic forms that cater to a diverse audience, including poetry, fiction and nonfiction, children's literature, new media, spoken word performance, graphic novels, storytelling, and much more. The festival will also feature a range of activities for audience members to immerse themselves in the process of creativity, such as lectures, performances, public interviews and debates, workshops, and readings. Words brings London's creativity to the world, while introducing our community to new ideas and artistic forms in a highly accessible atmosphere of learning and discovery.